What Precautions Do I Need to Take with Flood Damage in my Home? 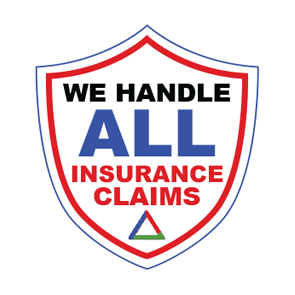 The most important precaution that people can take with preventative flood damage is to assess their insurance coverage to make sure that the establishment is adequately covered for all the reasons that flooding to occurs, as well as, the varied ways that water can damage the building and its furnishings. Insurance companies can be rather evasive on coverage issues when related to water. This is because water causes great damage when introduced to building structures. Additionally, some nature related events are not covered by any insurance coverage. This coverage must be attained from a government subsidized insurance company that deals only in flood insurance. The next precaution is to call a reputable plumbing company at the first sign of water damage. How long is the repair process? Water wreaks havoc on homes. The most important thing is to stop the leak or breach that is causing the flood damage. Established plumbing companies will not only be able to stop the leak, but they will also start the process of drying the facility. This is a very important step because moisture can bring the onset of mold growth. Mold grows very rapidly. This means that only a few days of unabated mold growth can render a home or building uninhabitable. This is especially true if the leak goes undetected for any amount of time. Will I have access to my home while the job is being done? Even if there is no mold damage, and the leak is addressed right away, there are still steps to further allay damage that will be caused by the flooding event. Sometimes sheetrock has to be replaced and often floors. Because of this, furniture could also be damaged in the flood. However, reputable plumbing companies will have referrals for water remediation companies that are also ran well. Additionally, comprehensive companies may have water remediation services available with their company. Because sometimes entire homes can be affected, these jobs can become very large with extensive damage. Fortunately, good plumbing companies will be able to help their clients throughout the process and in dealing with insurance companies. In the case of mold, often people have to vacate the premises while remediation is being done. Depending on the damage, a family can be vacant from their homes for months on end. This true even when there is no mold damage. However, this depends on the family. Some families will be able to endure the construction process that will inevitably take place in the home. Are you under water with flood damage in your Ogden home? 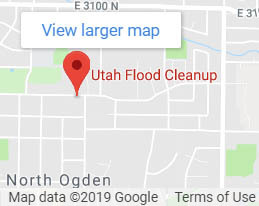 This is a job for Utah Flood Cleanup, just Call (801) 416-2666 today and get that mess cleaned up. We are disaster cleanup experts located in the state of Utah. We perform cleanup for water damage, floods, mold, fire & more. 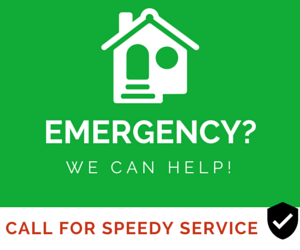 Give us a call at 801-416-2666 if you're in need of assistance. PreviousPrevious post:Carpet & Upholstery Cleaning will Freshen Your HomeNextNext post:If It’s an Emergency, Call the Professionals Today!